In Honor Of The Last Episode Of Mad Men, My Own Mad Man, Arthur L. Benjamin. Arthur L. Benjamin (far right) at the offices of Schwartz and Benjamin Inc., New York, NY. 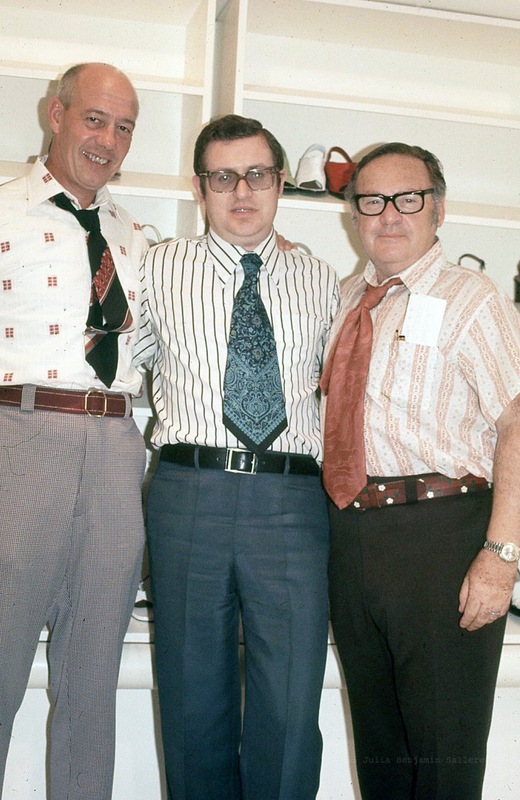 Luigino Rossi founder Rossimoda Footwear (center) 1973 . § 6 Responses to In Honor Of The Last Episode Of Mad Men, My Own Mad Man, Arthur L. Benjamin. 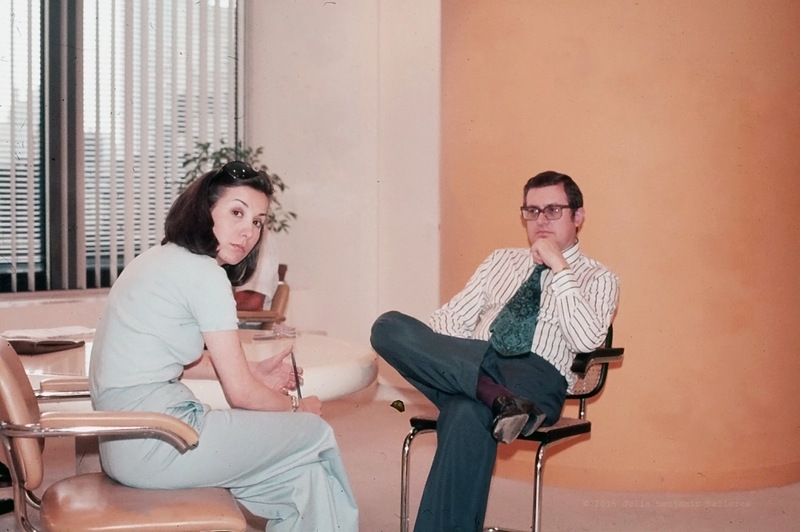 Those ties – so 70s! How about that belt he’s wearing too! Did you make that? Thanks Theadora. My dad was a true bohemian at heart. Love these photos – it’s like revisiting my early childhood, seeing similar clothes to those my parent and grandparents wore! Thank you for taking the time to read OldPlaidCamper earlier. Enjoy your day! « Dolores Betty-esque | More Mad Men Fashion. You are currently reading In Honor Of The Last Episode Of Mad Men, My Own Mad Man, Arthur L. Benjamin. at Women's Footwear in America.